New York, NY, October 10, 2017 – Mally Beauty, founded by celebrity makeup artist Mally Roncal, announced the launch of a limited edition Disney’s Frozen collection via the brand’s social media pages today. The one-of-a-kind makeup collaboration between Mally and Disney is inspired by the positive traits of Frozen’s two smart, compassionate and strong-minded main characters, sisters Elsa and Anna. The collection includes a wide range of highly pigmented, color-rich makeup, including eye shadows, eyeliners, mascaras, lip glosses and blushes. 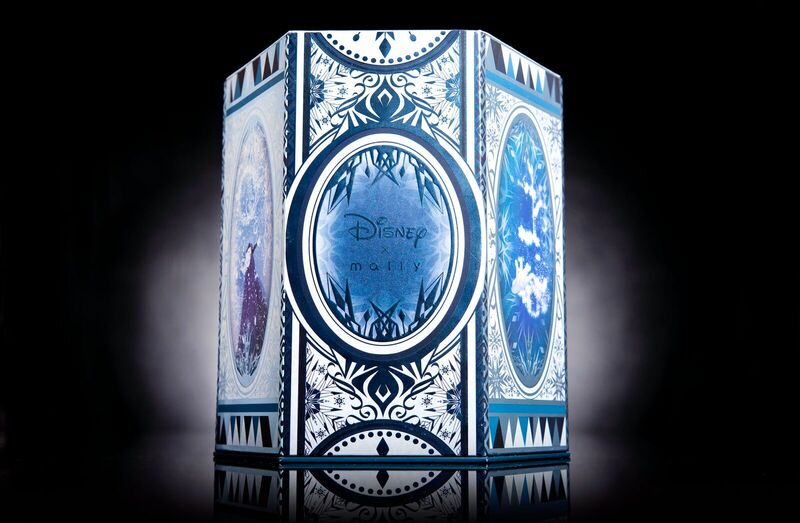 Beautifully packaged in two ice castle cases (one for Elsa and one for Anna), the collection also includes two snowflake-adorned keepsake mirrors. The Mally Beauty for Disney’s Frozen collection will debut this November on QVC. Follow @MallyBeauty on Instagram and Twitter and become a fan of Mally Beauty on Facebook to get more information as this campaign develops. After spending 15 years on the road with some of the biggest celebrities in the world, Mally Roncal founded Mally Beauty, a collection that infuses her knowledge, expertise and techniques into every formula. The collection first debuted on QVC in March 2005, where it sold out within 40 minutes, breaking records for the retailer and making Mally Beauty a top contender in the beauty industry. Copyright ©2017 TPR Holdings. All Rights Reserved.